Until recently, early Utah leader Robert Newton Baskin lay in an unmarked grave. 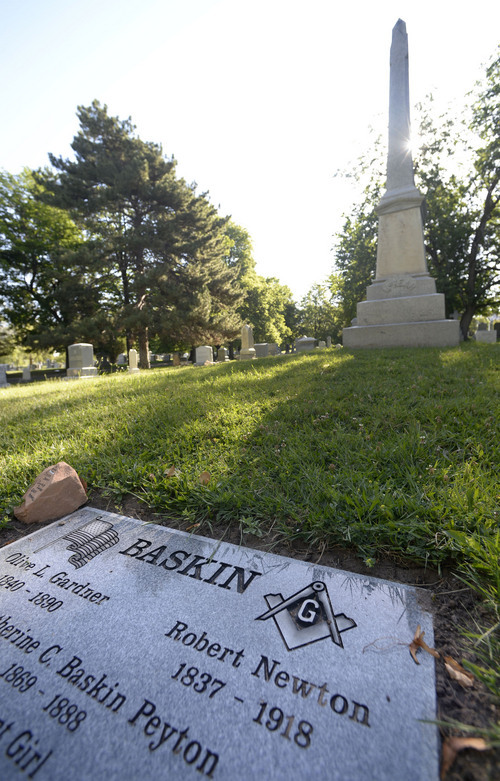 (Tribune File Photo) Robert Newton Baskin Al Hartmann | The Salt Lake Tribune Recently, a group of Utahns purchased a grave marker for Robert Newton Baskin, who was buried at Mt. Olivet Cemetery in 1918. Baskin was a leader of non-Mormons in Utah in the late 1800s and was elected Salt Lake City mayor. 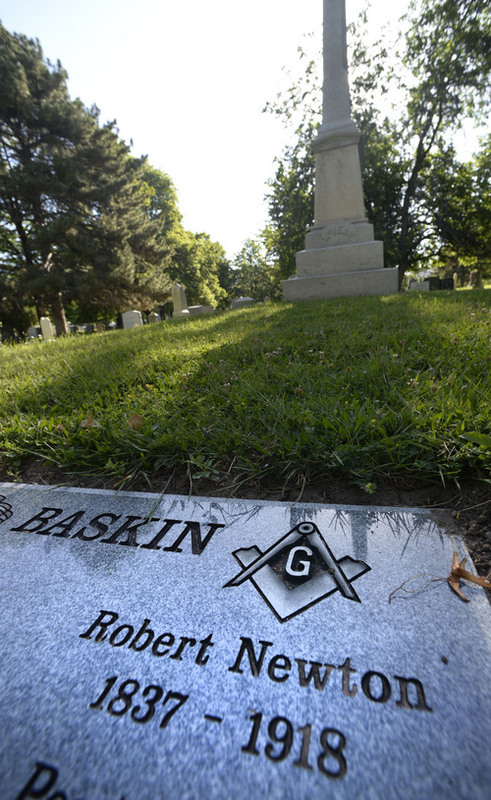 Al Hartmann | The Salt Lake Tribune Recently, a group of Utahns purchased a grave marker for Robert Newton Baskin, who was buried at Mt. Olivet Cemetery in 1918. 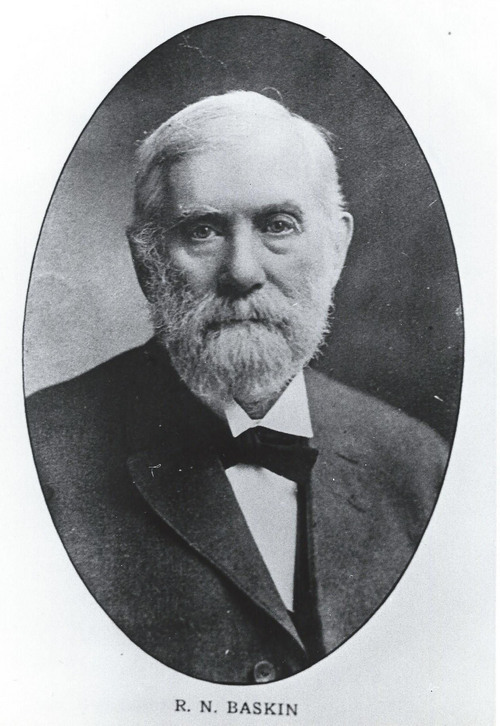 Baskin was a leader of non-Mormons in Utah in the late 1800s and was elected Salt Lake City mayor. 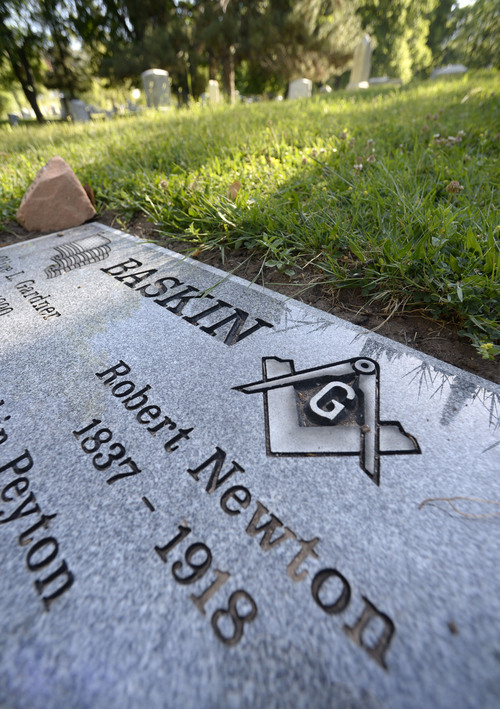 Al Hartmann | The Salt Lake Tribune Recently, a group of Utahns purchased a grave marker for Robert Newton Baskin, who was buried at Mt. Olivet Cemetery in 1918. Baskin was a leader of non-Mormons in Utah in the late 1800s and was elected Salt Lake City mayor. He may be the most overlooked figure in Utah history. He prosecuted John D. Lee for the Mountain Meadows Massacre, wrote most of the legislation introduced in Congress in the late 1870s and &apos;80s to end polygamy and blunt Utah&apos;s theocracy, presided over the Utah Supreme Court, served as Salt Lake City mayor and, not least, played an instrumental role in the construction of the City-County Building as a counterweight to the Mormon temple. But until several weeks ago, Robert Newton Baskin lay in an unmarked plot at Mount Olivet Cemetery in east Salt Lake City. His grave now has a marker, thanks to Don Thomas and Boyer Jarvis. The pair launched an effort to recognize Baskin after reading John Gary Maxwell&apos;s 2013 book, "Robert Newton Baskin and the Making of Modern Utah." "If you look in Utah history books, you won&apos;t even find him in the index. He&apos;s been obliterated from Utah history," Thomas said. "The context was very adversarial between Baskin and the Mormon hierarchy. But 100 years later, it looks like he made a significant contribution." Thomas and Jarvis also have organized a gala dinner in Baskin&apos;s honor at the City-County Building  now Salt Lake City Hall  on July 30, the 100th anniversary of the publication of Baskin&apos;s book "Reminiscences of Early Utah," a history told from a non-Mormon perspective. Present and past mayors of Salt Lake City  Jake Garn, Ted Wilson, Palmer DePaulis, Deedee Corradini, Rocky Anderson and Ralph Becker  have been invited, Jarvis said, along with about 600 members of the Utah State Bar. Educated at Harvard, Baskin stopped in the Utah Territory in 1865 while making his way west. He decided to stay and open a law office, largely because mining was booming and the area looked ripe for riches. Thomas, who was superintendent of Salt Lake City schools from 1973 to 1984, is championing Baskin&apos;s legacy because, among other things, Baskin pushed for statehood as well as public education. That&apos;s not all: "He was the first one to employ African-Americans in the mayor&apos;s office [after his election in the early 1890s]," Thomas said. "I&apos;m touched emotionally by his efforts to treat everybody equally." In her Salt Lake Tribune history column, Eileen Hallet Stone noted that Baskin&apos;s arrival in the Utah Territory coincided with "new heights of acrimony between Gentiles and Mormons." Baskin&apos;s friend, John King Robinson, a non-Mormon, was beaten to death in October 1866, apparently over a land dispute. Stone quotes an 1893 Tribune story, saying Baskin took an oath over his dead friend&apos;s body to find the murderers. Although the killers were never identified, Baskin dedicated himself to fighting for equality for non-Mormons in what he saw as a theocratic society. Baskin was not anti-Mormon, said Maxwell, but he was often at odds with the LDS hierarchy. "He felt church leaders had taken [its members] down the wrong path." During John D. Lee&apos;s first trial in 1875  which ended in a hung jury  Baskin used the territorial prosecutor&apos;s office as a bully pulpit in an attempt to implicate Brigham Young in the Mountain Meadows Massacre, Maxwell said. Baskin also played an important role in anti-polygamy legislation in Congress, including the 1887 Edmunds-Tucker Act that dissolved the incorporation of the LDS Church and sought to seize its assets. That led LDS President Wilford Woodruff to issue the 1890 Manifesto that officially ended Mormon polygamy, Maxwell said, and also set the stage for Utah to gain statehood in 1896. "Baskin is deserving of being remembered," he said. "But for reasons that are understandable, he has not been remembered." By the time of his death in 1918, Baskin was a forgotten man, Jarvis explained. The country was engaged in World War I and Utahns had moved on from the issues of the late 1800s. His wife and daughters had preceded him in death and Baskin most likely died with little money. "No one living at that time," Jarvis said, "really gave much thought to a headstone, even though he played such a large role in Utah history."